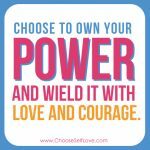 This self love blog post is a permission slip for you to do the best you can, and trust it’s enough… Support yourself and give your inner super woman self compassion. 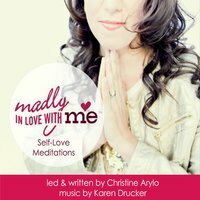 It’s an 11 minute meditation I made with Karen Drucker that’s featured on my Self Love Meditation Album that has the super power to shift your internal experience from self-criticism and judgment to self-compassion. Take the pressure off. Go here to listen to the Self Compassion meditation, take the pressure off, throw the stress to the side and find your way to a solution that supports you not sacrifices you. 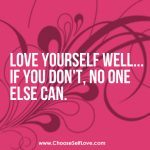 And then post up here on the self love blog the self love stand you are taking to release the pressure and the self compassionate act you are taking …. 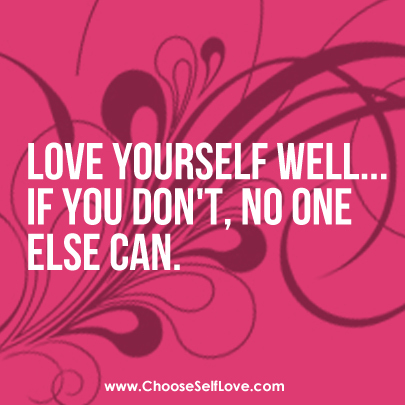 I’ll add some special self love super power to your post to support you. I’ll show you how I did this for myself. 1. First, be honest about where in your life you feel the pressure to do more, have it all done, do it all yourself, or squeeze more in? 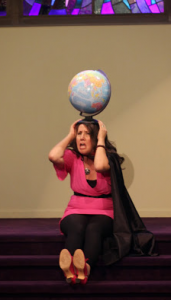 The Invincible Super Woman Inner Mean Girl is the one who makes you feel like the weight of the world is on your shoulders, and you have to do it all yourself. She’s the one who makes you feel like you have to do it all, right now, perfectly. And when you follow her guidance, you end up exhausted, resentful and feeling unsupported. So how was she bullying me, and how might she be bullying you? After five weeks of intense work to release the book, after throwing a major event for the book launch party, after traveling, coming home to mentor four women, lead an intense full day divine feminine workshop, spend two days taping the audio version of the book and prepare for two-days of intensive yoga teacher training on Saturday and Sunday, I was feeling IMMENSE PRESSURE to get this divine spark and self love blog to you. This IMG was bullying me by telling me I had to do the letter by Saturday, and I had to make you a video, and she was all over me for not being able to get it all done (she did not care that what I needed was a nap, a bath and some space for me, or that I was about to do 24 hours of yoga in 2 days). 2. Second, you have to make the choice to release the stress. And be honest, would you like a remedy for all that stress? 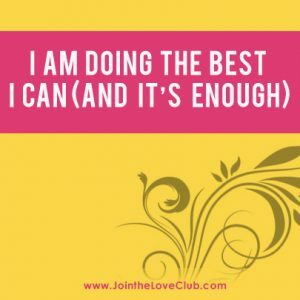 If yes, make the choice by stating…. I choose to release the pressure to … I choose to trust that..
For me it was releasing the pressure to get this blog and divine spark done by a certain time in trusting that if the space wasn’t there, there would be a better space to do so. I choose the self-compassionate act to…. 3. Third, choose the self-compassionate choice. For me, after my Inner Wisdom got me to my yoga mat where I did an 11-minute meditation (I often take my IMGs to my mat where they are rendered powerless!) I could hear the loving self compassionate truth, “Just do the best you can, and trust it’s enough.” And that meant, releasing the need to get this to you by the weekend. And instead to wait until Monday, after my yoga training, sleeping in, a fabulous breakfast with Noah my guy, coming to my favorite Venice Beach coffee shop, sipping a latte and writing this to you. So much more compassionate and me so much happier! Here’s mine… I choose to release the pressure to get this blog posted to you on the specific time I had in mind. I trust that there will be a better time and space for you to receive this and for me to create this. I choose the self compassionate act to release any and all feelings of obligation and instead to on Monday when I do have space, write you this from my happy heart! 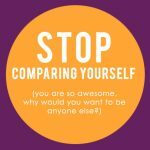 Post your self compassion stand here…. I will reply with a witness and super power self love prayer! Sending you support to give yourself the SPACE you need to be supported, be sustained and feel successful without all the pressure. 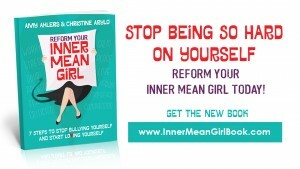 And..If you haven’t gotten your copy of the Reform Your Inner Mean Girl book to start transforming your Inner Mean Girls – go here. including self-care, self-trust, self-esteem and more – go here. Wow, I often find it difficult to listen to these kind of recordings, but it was a pleasure listening to your voice, Christine. Thank you Christine for sharing this story. It helps me to see the places in my life where I put unnecessary expectations on myself too. You are so appreciated. Christine, Know that no matter when you send the Love Sparks they are just in time! My pressure release is “Be gentle with yourself!” Im finally getting it, thanks to you! Xoxox Now I’m sending those words back to you!!!!!! Xoxox. Talk to you later! 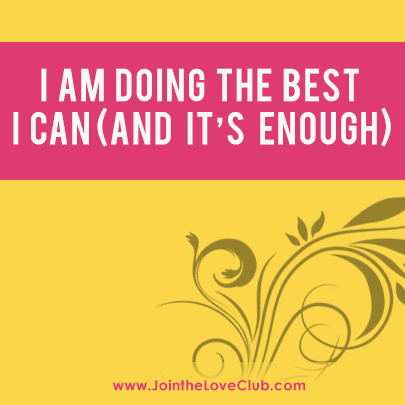 I choose to the pressure to do everything perfectly and immediately. I choose the self compassionate act to be patient and loving with myself. I choose to release the pressure on finding a well paid job. 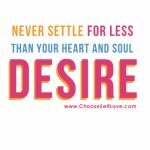 I choose to release the pressure of finding a well paid job I love. I trust that the opportunity is on its way and will come to me at the right time. I choose still to meet up with friends/go out with them. Treat myself without feeling guilty. And tomorrow to go to see Warhorse in London because it will be good for my well-being and make me better to be around . I choose to release the pressure by being in the presence of nature. very warm calming voice Christine.Thank u with much love and joy back to your heart. Self Love Signs: How to tell if you love yourself and if you don’t.